My review copy: Review copy provided by the publisher via NetGalley in exchange for an honest review. "There are times when you stand on the cusp of moments so huge, you know you'll remember them forever. This is that moment for me and for Ryan"
"Pretending I don't care what he thinks about me, I jut out my chin. Fairy-tales happen, just not to me. Time to tell the prince he rescued the wrong girl"
"Typical me-a hurricane that leaves nothing but destruction." "Emotion is evil. People who make me feel are worse. I take comfort in the stone inside of me. If I don't feel. I don't hurt." Dare You To takes you on the emotional journey of Beth Risk and Ryan Stone. These two could not be more different and more perfect for each other. Beth, doesn't really have much going for her, she is troubled, lives with her mom who is always wasted and her mom's boyfriend who loves to beat them both on a regular basis. Ryan seems to have the perfect life on the outside, he plays baseball, has many friends and fits in at school. But his home life is a much different story, a father who expects him to play professional baseball no matter what and a brother who his parents don't speak to or speak of. Beth and Ryan meet one day over a dare and have this connection that neither one can deny. I loved watching these two characters grow throughout this book. Beth is not quick to trust anyone. She has been let down by so many people in her life which has made it hard for her trust. She is a big ball of snark which I loved! Seeing her learn to trust someone and know that not everyone is going to leave her was amazing. Ryan grew throughout this book as well. He always does whatever his father wants and is pretty much living the life his father wants him to live. I loved seeing him learn that he needs to do what is right for him and take his life into his own hands. This book deals with some real issues. Beth's mother is a drug addict with an abusive boyfriend. I really wanted to smack her and haul her off to rehab myself. I felt for Beth having to be the adult and take care of her mother like she was her child. If you have read Pushing Limits I don't doubt that you will love Beth and Ryan's story as much as Noah and Echo's. McGarry has an amazing way with words. You can't help fall in love with and feel for her characters. When they laugh you laugh and when they cry you cry. I love books that deal with real issues and characters that are flawed. My favorite part of any book is the love story and this book did not disappoint. Beth has some big walls up that Ryan needs to break through. She doesn't trust and is more concerned with her mother and her problems. But once he starts to break through that first wall what these two have cannot be denied. 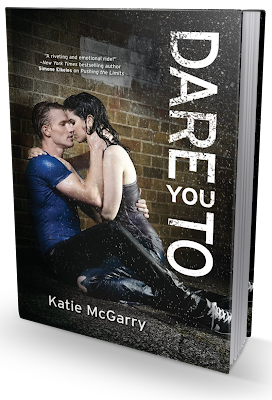 Dare You To is a book about love, loss and learning to trust others and yourself. 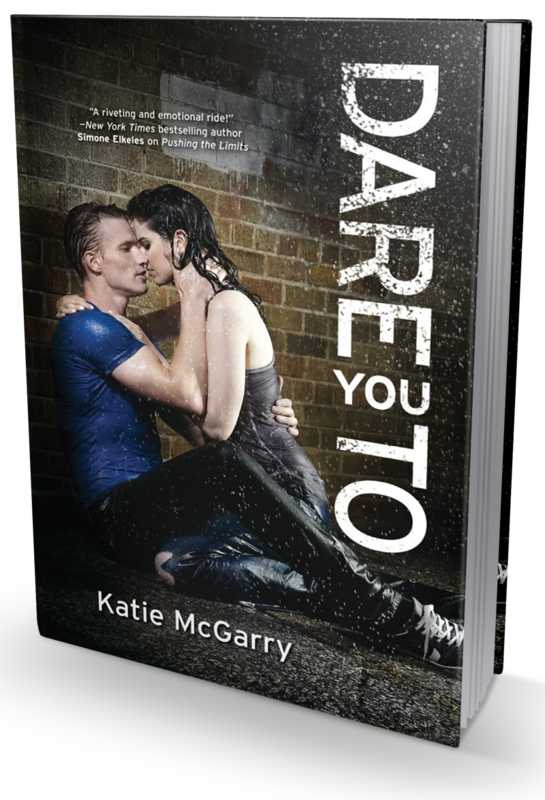 McGarry has quickly become a favorite author of mine and Dare You To has been one of my favorite reads of 2013.